The 2018 Range Rover has an exciting variety of features that come standard but when you are looking for something more, you can count on the super personalization options offered by Land Rover. Choose from the Black Exterior Package or Shadow Exterior Package for eye-catching enhancements to the hood and tailgate lettering, bumper accents, and grille detail. Add on the Towing Package with electrically deployable tow bar, Advanced Tow Assist, full-size spare wheel, and Range Rover Activity Key. The distinctive premium wheels are available in 19″ or 22″ sizes with Gloss Black, Dark Grey, or Diamond Turned finish. 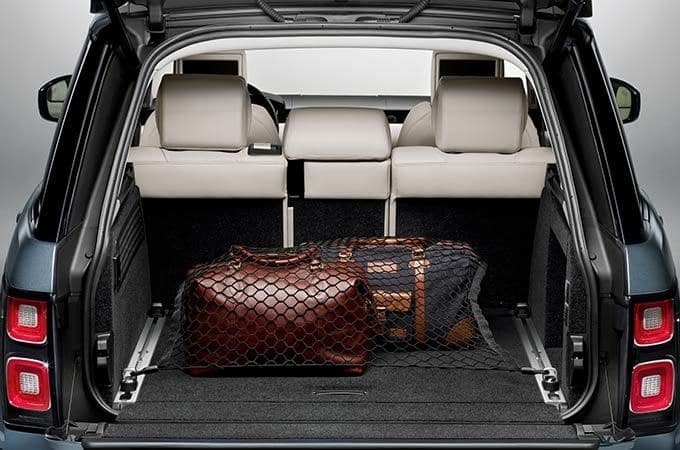 You can further personalize your Range Rover with a variety of accessories. The Click and Go System attaches to the seat back to hold tablets, bags, and jackets. Entering and exiting the vehicle will be easy with the deployable side steps that stow under the sill when not needed. Ask us about other optional accessories for roof carrying and load space optimization. Contact Land Rover Colorado Springs for more vehicle personalization options! We are eager to help you find a 2018 Range Rover that is perfect for you!